How can I get more people to see and use my website? Is one of the single most asked questions that we get at Netmark. In this article we’ll give you a solid framework for you to build off so that by the end of the article you know which levers to pull in order to increase your website traffic. Who are the ‘right’ people? Nobody sets out to find the wrong people, but they find them by increasing website traffic without figuring out what traffic they actually want. Who is most likely to buy from me? Your research should eventually get to the point where you can say with a great deal of confidence, if I go to people with XYZ demographics and say this phrase to them then offer this value proposition, they’ll buy. Look at past sales and customers and draw out commonalities. Demand is like the wind, you can’t create it, but you can adjust your sails to take advantage of it, knowing your customers is adjusting your sails. Will it Fly: This is an excellent guide to help you discover who your potential customer really is. What is an optimized site? A site that shows up on google when your customer is searching for a solution to a problem they face. The last reason is crucial. “Link juice” is simply a way of describing how Google sees the authority going in between pages. If you have multiple links from different parts of the site going to one page for the same keyword, that can be an indicator that that page is the authority on the subject. Use your website platform’s SEO tools: Some content management platforms have seo tools built directly into it, others have you install plug ins. Whatever position you find yourself in, take advantage of these tools. If you are using WordPress the best SEO tool is Yoast. What is the ‘right content’? Identify the problems that matter most to your customer, and solve them as deeply as you possibly can. This should be the focus of all your content creation. The crucial question is: How can I best serve the customer? Your traffic will increase directly in proportion to the value you add. What does it mean to ‘leverage social media’? Using social media to garner goodwill and attention for your cause. The real power of social media is it’s ability to help people to know, like and trust your company. It is best used to gather a crowd of people who are interested in what you have to say. Many people waste content only posting it once on their social media. You need to be spending twice as much time promoting your content as creating it to get the maximum milage out of it. Anyone telling you that email marketing is dead, is a liar. In fact, there could hardly be a better time to do email marketing than now. The trick is to use email marketing effectively. The following tips are the framework you could look at when starting an email marketing campaign. One of the most important things to do with your list is to segment it into different categories based on interest. According to Mailchimp, emails that are sent to a segmented list generally have a 14.99% increase in opens. When you think about that with the scale of how large your email list could become, say like 10,000 emails, that mean close to 1500 more people will see it. What is segmenting? It’s basically having people raise their hand and say “I’m interested in this” and putting them on the list they raised their hand for. It is very powerful because you are able to send people things that they are actually interested in. Think about it this way, if you sign up for a sports newsletter and you are a soccer player, how likely are you to be to open an email labeled “50% off all Basketballs”? If I had a dollar for every time someone said “I tried Facebook Ads and it didn’t work” I would be rich (also, if I had a dollar for every time somebody used that cliche I would be ultra rich.) I want to say, “Yeah they didn’t work because you don’t know what you are doing” but that would be unprofessional. But you should know that Facebook ads are powerful and they can work for almost any industry if you follow a few basic principles. It’s not the platform that is the issue. These principles aren’t complicated but they are something that you have to work on and have patience with. Have some money to test: Many people grossly underestimate how much it will cost to actually get a solid high converting ad. If you’re expecting to run a good test with $50 you may be disappointed. Advertising definitely costs money, but, if you think through the logic and prepare well for it, it can drive a clear, solid ROI. What does it mean to ‘leverage SEO effectively’? Backlinks- are links that come from other people’s sites and point back to yours. This is one of the main ways that Google determines how relevant your site is. Websites with a high “domain authority” that point back to yours increase your site’s credibility. Sitemap: A site map is a way for you to make your website easier for Google to understand what your website is and to connect all the pages. Outbound Links: Another way that Google determines the quality of your posts is that they have links out to other helpful resources. Keywords: As mentioned in the optimizing your site section, keywords are critical to your website’s success, choose which words you want to rank for carefully. Make sure every page you want to rank has a word count of over 300. If it is under 300 words Google may not even consider it. There is so much more to learn about SEO, but this should get you started. Moz.com: This site is perhaps the most comprehensive source of SEO information out there. Particularly check out ‘Whiteboard Friday’ it is an entertaining and simple way to learn more about SEO. I may be going out on a limb here, but I assume that your company wants to make money. It’s nice to get traffic, it’s nice to have social media followers, but it is unsustainable if you don’t make a little cash. ‘Warmth’ of traffic: I learned this from Russell Brunson. 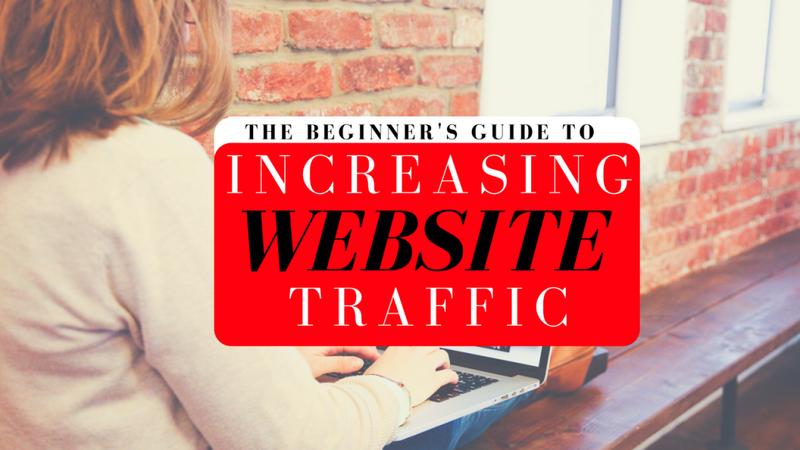 He talks about how not all of website traffic is created equal. There is a spectrum. Cold traffic is traffic that has no idea who you are and is getting introduced to you for the first time when they land on your page. Warm traffic is traffic that knows another person and is being referred to you. Hot traffic is traffic that already knows, likes and trusts you. Each of these different forms of traffic needs to be treated and handled in different ways. Build a Landing Page: A landing page is a web page dedicated to convincing the viewer to take some specific type of action, usually to sign up or to buy a product. These are crucial to have, especially if you are paying for people to click on ads to come to your site. Freebie: The freebie is essentially an offer you give people for free in exchange for some information about them. To get use out of the traffic that you receive you need to have very appealing freebies. Email List: Once people have opted in using a freebie, it is important to keep in contact with them and warm them up to buying. This article is just a starting point, the topic of driving traffic to a website is very big (in fact it is a whole industry) so if you’re just starting, be patient with it. These principles really work, you just have to take it one step at a time. Feel free to call us at 800-935-5133 or send us an email for more information.